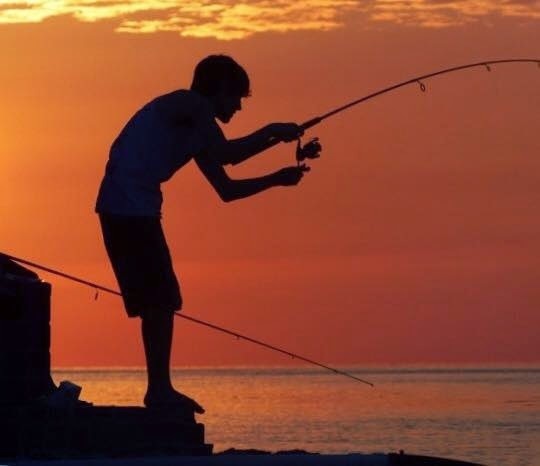 "Time is but the stream I go a'fishin' in." 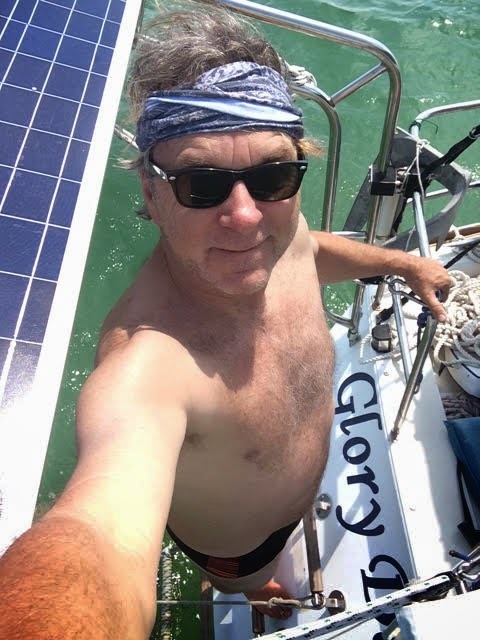 So here it is at the end of March, and I am finally on a mooring ball at the infamous Boot Key Harbor in Marathon, Florida. And it feels like school recess for this boy. Today started with a yoga class at 10 a.m. in the park with a bunch of fellow boaters led by another boater instructor. Generally speaking, the purpose of a yoga class is to open up the mind, body, and spirit... and so it did... hence let me begin with some tales about the Mind, Body and Spirit of Marathon. I've heard good things of this harbor for so long now, that I suddenly feel like I've made a right of passage by just getting here. .... 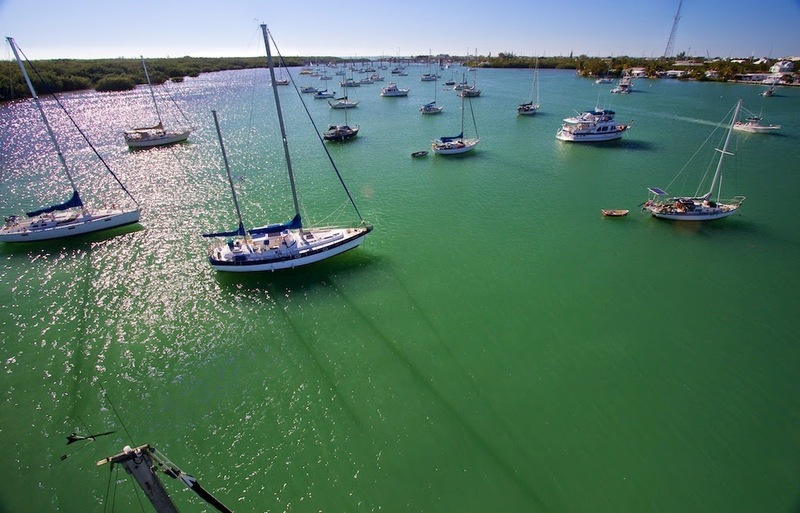 In terms of major sailor headquarters, I suppose you could consider this harbor somewhat of a Mecca for southern sailors, or at least for sailors of the Florida Keys. It is a unique place indeed. 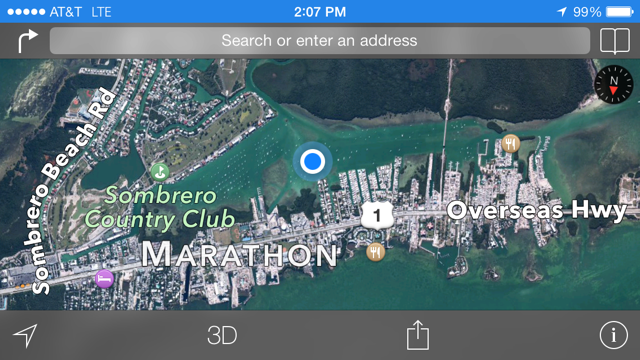 Marathon is located about halfway down the string of Keys... by water, it's about 45 miles from Key West. Each little white dot in this photo is a sailboat.... 250 mooring balls total. Inside this well protected harbor sits over two hundred live-aboard boats all tethered to mooring balls in neat rows arranged side by side orderly and efficiently. This unique community is known as Boot Key Harbor. It is like a mini-city here with a Bohemian feel. All the neighbors are sailors and the scores of commonalities are just too many to name. The central gathering place would be the main dinghy dock and tiki hut where folks shuttle back and forth from their boats to the land, fill up water jugs, work on projects, linger in conversation, and just share smiles to each other. 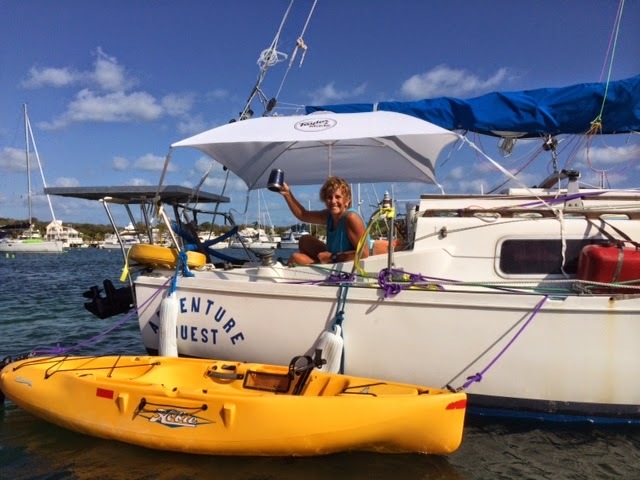 Ahhh.... a well deserved rest after a frisky sail under and back around the 7-Mile Bridge and and into Boot Harbor Key. There's a real community feel here at Boot Key, and I've decided to hang out here for a week, maybe two, to see what's it's all about... After all, boys will be boys, and I am no exception....There's a daily morning show on the VHF radio called the "Sail Net" where cruisers weigh in on all types of topics, announcements, boater tips, and buy, sell or trade marine goods. 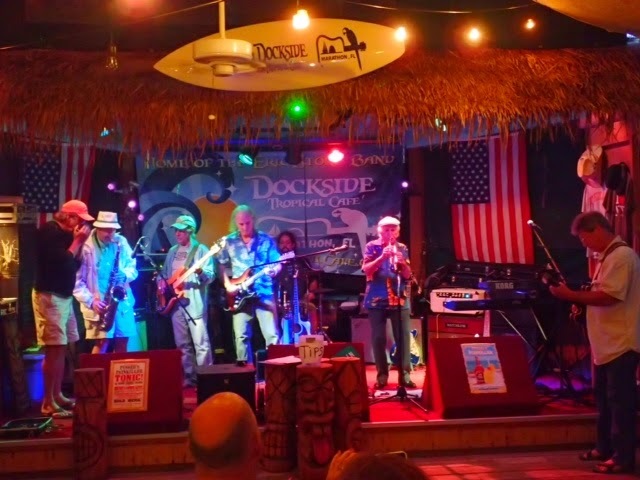 The headquarters of the City Marina at Marathon is like a central gathering place where they have a wide variety of activities going on all the time like boater classes, technical classes, yoga, pot lucks, music, and discussion groups if you feel so inclined. They even have a central hub with seating, wifi and a family friendly atmosphere.... There's even a few TV viewing areas if that appeals to you. 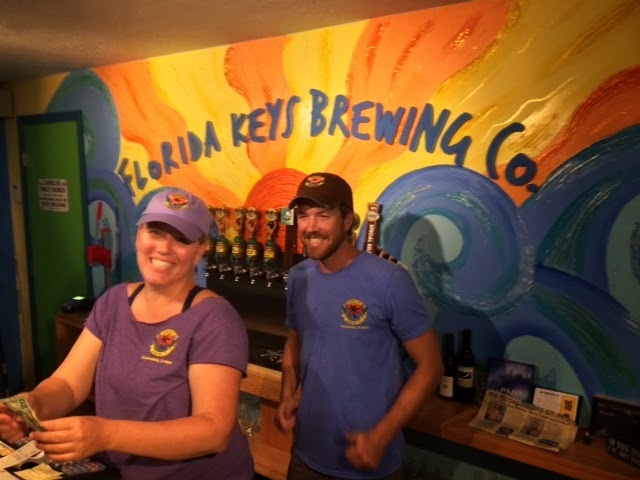 You can also use their huge covered work areas for doing projects away from your boat... some folks end up staying here for months or even years... where else can you live in the Keys for about $320 a month? 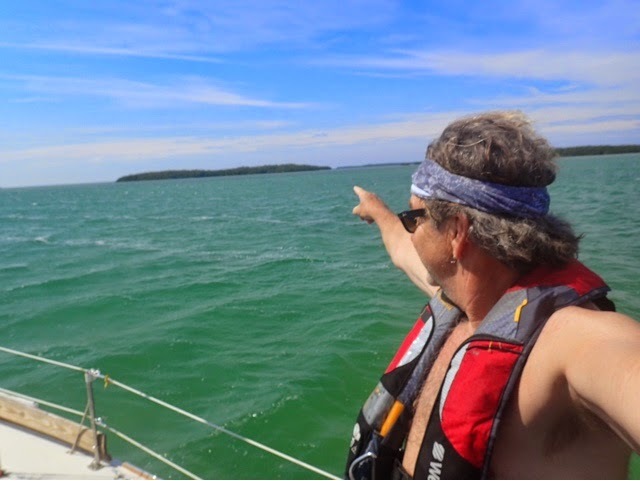 over 250 boats here... Last month I was #30 on waiting list for a mooring ball, but today I got in with no problem as many boaters have left for the Bahamas now. 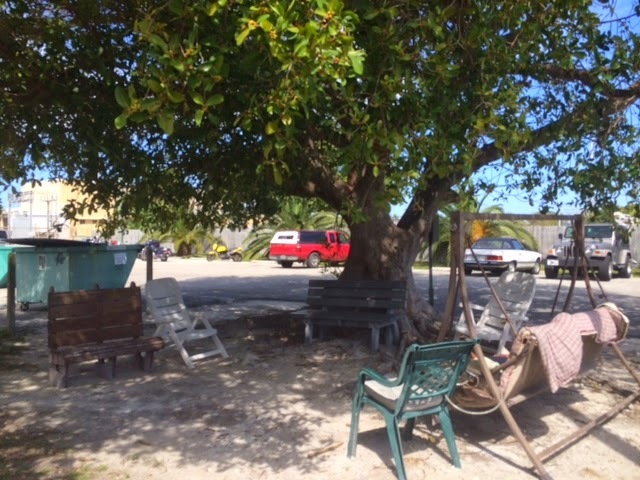 This gathering area at the Boot Key Marina is called the Tree of Knowledge... Basically, it's just a shade tree with some comfortable chairs where anybody can hang out, enjoy fellowship, tell tales, or just drink beer with new and old friends. They have a great recycling program here as evidenced by the dumpster in the rear here. Here's some other sights around Marathon....No one seemed to notice that I did not belong at this Hyatt luxury resort... just passing by, mind you. 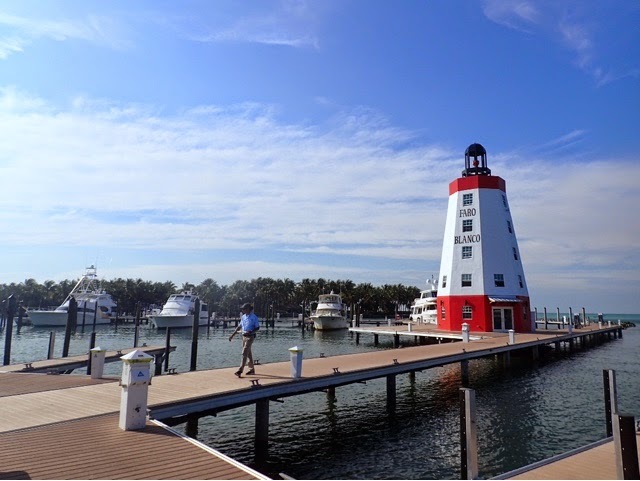 The Faro Blanco lighthouse still shines on the bay side of Vaca Key at Marathon. It is now a part of the newly renovated marina/ Hyatt complex. .... Cormorants sunning on the rocks. This is the new towing harness I made for Dazy... works great...and me about to take a dip. 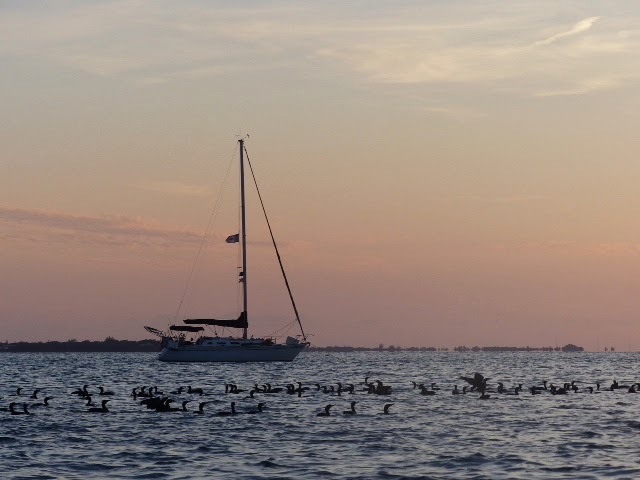 I enjoyed the company of these cormorants at this anchorage called Channel Key the night before. 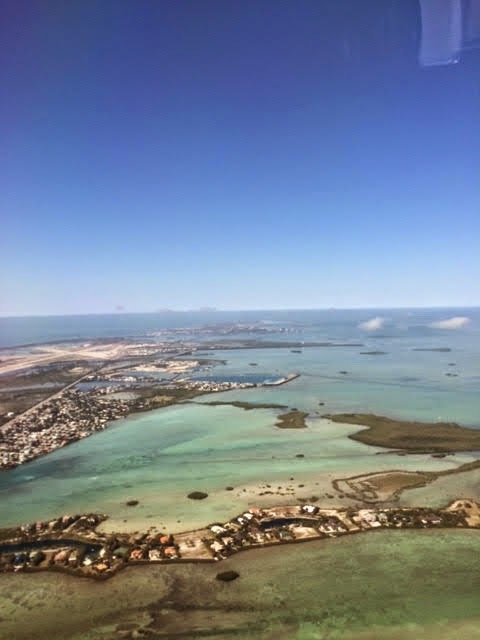 So here I am flying into Key West after a month back home and my dental work all complete... ready to chow down again... Key West, yes. My month in Georgia had been a great time to see family, but flying into Key West on St. Patrick's day was all about the anticipation… Georgia was a nice little break after 2 months of solid cruising, but now I was ready more than ever to get back into the solar rays of the Florida Keys and return to forever. 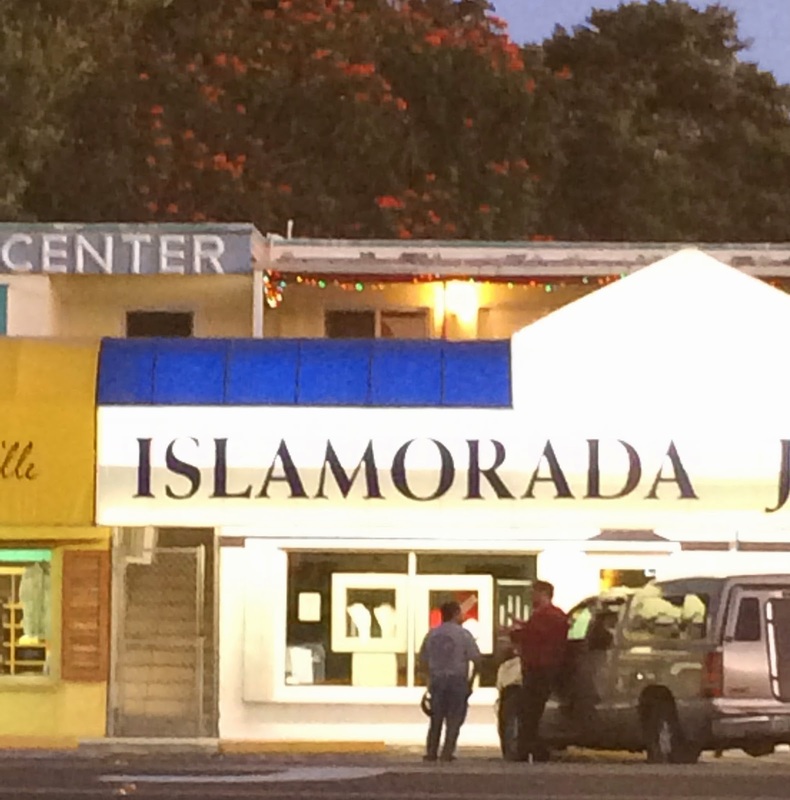 I figured arriving in Key West on such a festive day as St. Patrick's might be interesting … indeed it was. 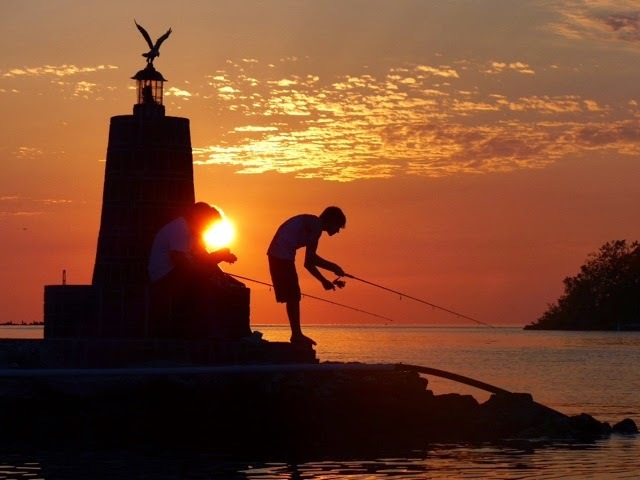 I treated myself to a car rental at the airport and enjoyed the freedom of being in a cool town on a warm day… After celebrating the Irish Holiday in Key West, I would drive north back to Glory Days where she would be waiting in the Coral Bay Marina about 80 miles away in Islamorada. Giddy is an under statement. One of my first stops was at the Key West City Marina to get some general information since I would soon be arriving back here in my boat. 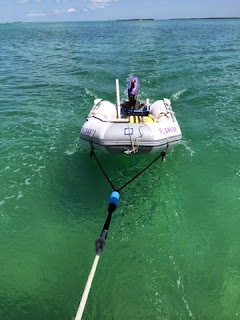 The rates for a mooring ball seemed reasonable at $18 a day and a dock master named Terri was very cordial and helpful. The boats docked here had a rather laid back flare to them… it was clear many of these boats never leave the dock as several of them were like little homes decorated with bright colors, flowering plants, and a laid back friendly air about the place… Next stop, Duval Street. Key West is filled with interesting shops, boutiques, bars, and outdoor eateries on the waterfront… it was a gorgeous day and I was like a kid in a candy store wide eyed and curious. I soon came upon the famous pub, Sloppy Joes… Altho it was only 1 pm, the festivities were getting started and the beer was flowing from the taps and the music was trickling out of the bars… Here's some scenes from my 6 hours in Key West that St. Patty's afternoon. Shamrocks were just about everywhere on this day. Sailboats slowly pass open air cafes on the waterfront. There is a rather large cruise boat industry now that makes regular stops at Key West. 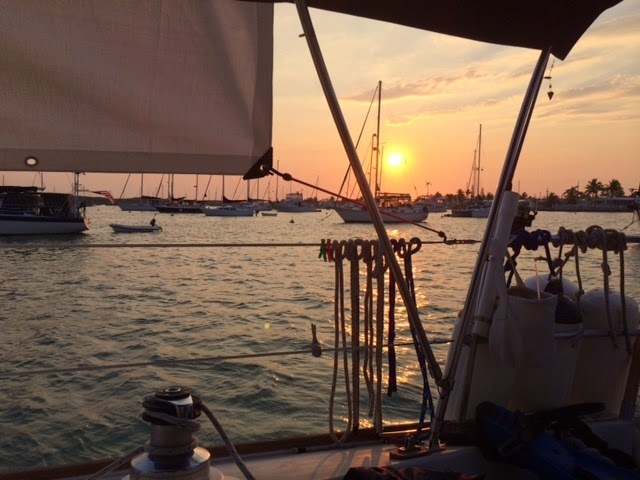 By 6 pm, my time in Key West was done and it was time to drive back north to Glory Days where she had rested in the Coral Bay marina for the past month. The drive north was quite nice, and I soon found her resting peacefully in her slip in Islamorada located on Upper Matecumbe Key. I really like this area. So I lingered here for two more days to get her outfitted again and to get my mental pchychie back in the groove… It would be time well spent for a boy on a mission. 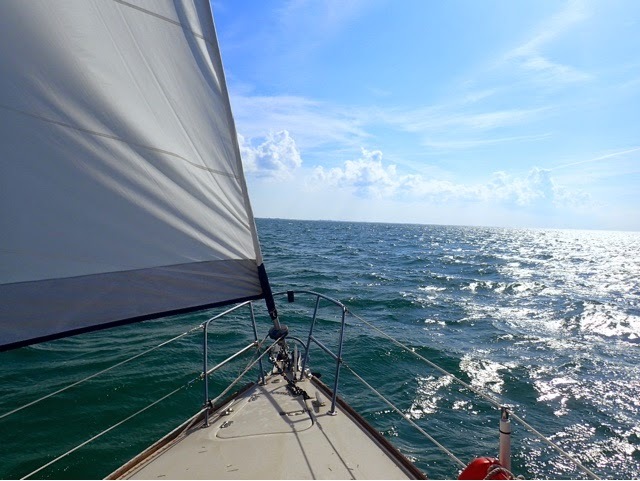 Upon leaving Islamorada on March 20, I would opt for an easy day sail south to Fiesta Key. 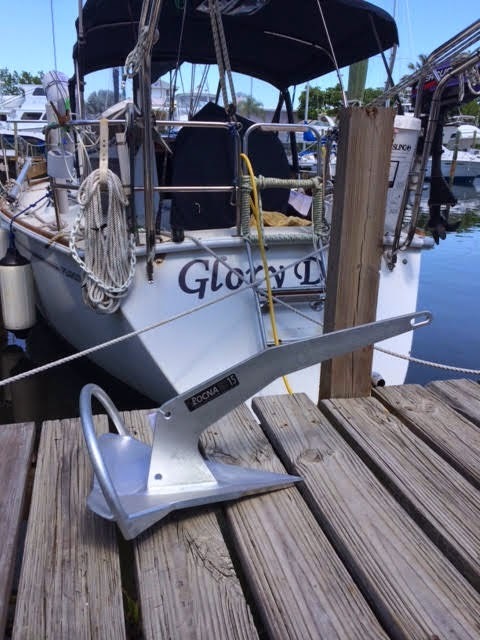 One of the major upgrades I made for Glory Days was this worthwhile investment in what they call a "new generation" anchor. This particular model is called the Rocna... best money spent in a long time.. I like to call it my new insurance plan... man, does she grab, and does she hold! Here's my current arsenal of anchors just in case... I ditched the old rusted Danforth model you see here but still have 4 choices depending on the weather conditions and different types of bottoms. However, I have a feeling the new shiny Rocna will be the "go to" anchor... psssst... she's not near that shiny anymore. This fellow was 97 years young and had a handshake like a vice. 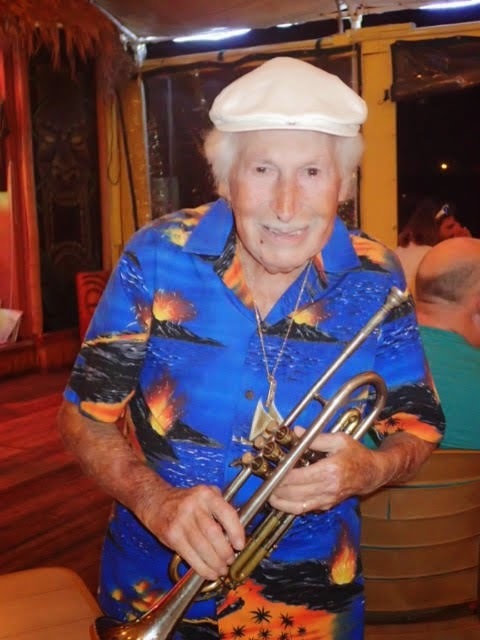 Before playing his trumpet with the band, he did a hilarious stand-up routine with funny jokes, many of the "adult" nature... I just hope I'm half as frisky as this youngster if and when I ever get that far. "Your pain is the breaking of the shell that encloses your understanding…"
Few things are more painful than a mean old tooth ache. And to be experiencing severe tooth pain while on a boat far away from home was just not real fun. …thus I refer to this post as the Rude Interruption. 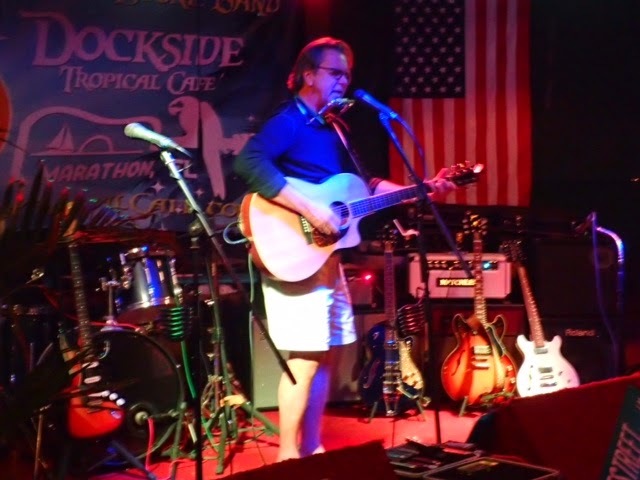 Anyway, the time bomb finally ran out of time, and I soon found myself in the Florida Keys in a world of hurt… there I was in paradise, lying in my bunk with tears running down my face hoping and praying it would just go away. I tried every home remedy I could find on the web… salt water rinse, cloves, black pepper to name a few… Soon a prescription of antibiotics and pain meds from my dentist would help a little bit, until I could find permanent relief. The tooth issue seemed to put a damper on my whole Keys experience as I slogged around in a pain that came and went. I shopped around for a local dentist but timing and logistics just didn't align like I had hoped. So I decided to fly to Georgia, take a little break, get a root canal, and spend some quality time with my family and friends. Thankfully, going back to Georgia is a good thing as I have a home there and a loving family. 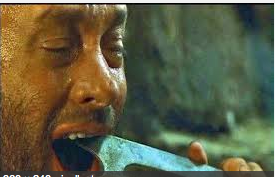 Many of my friends at home thought it was cute to suggest I employ the Tom Hanks method of tooth removal as seen in the movie, Castaway. How sweet of them. 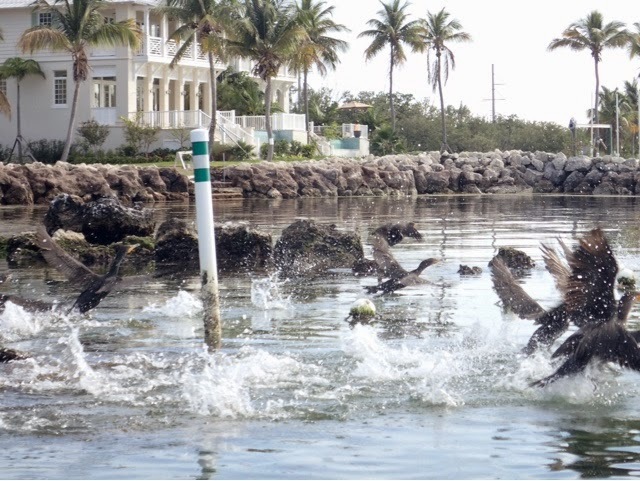 Thankfully, there are no ice skates to be found in the Keys. 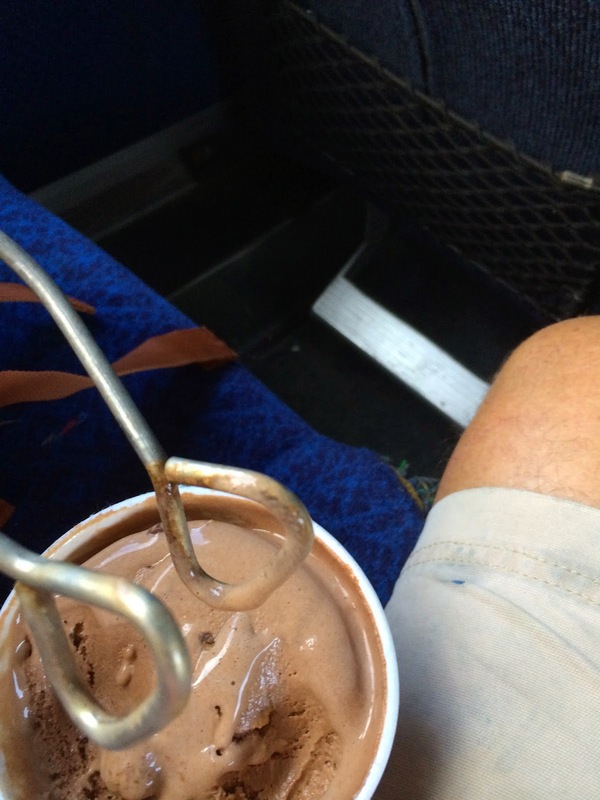 But getting my arse back to Georgia wasn't cheap by any means…. sometimes you just gotta do what makes the most sense… air fare, rental car, boat storage, etc. added up in no time. That's all I will whine about the tooth fiasco so here's a few pics of scenes and happenings I enjoyed just before flying back to Georgia for a time out. 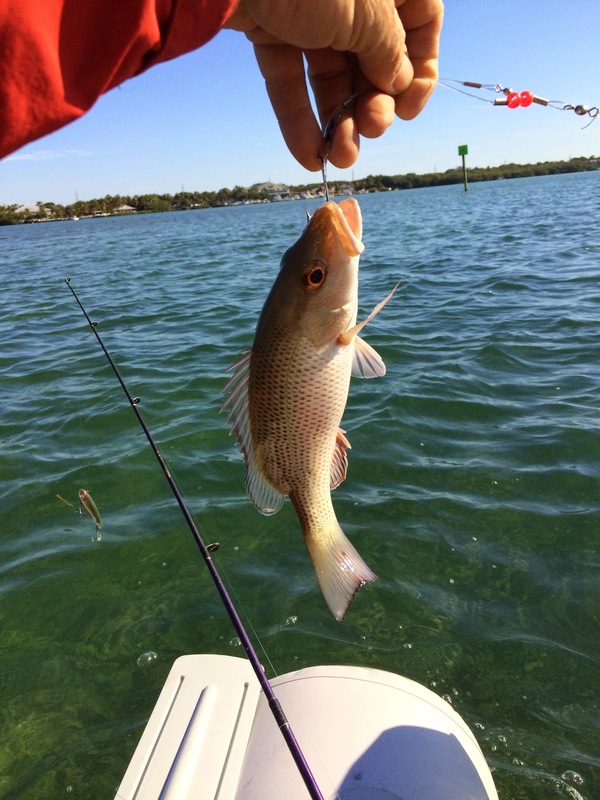 Mangrove snapper are common in the Keys and this little feller went for a live shrimpie I dangled overboard…. He wasn't big enough for my pan, so he got released. Barracudas of all sizes are quite plentiful too. I was mesmerized by the calm of such a huge sea as this gal paddled quietly by me…. 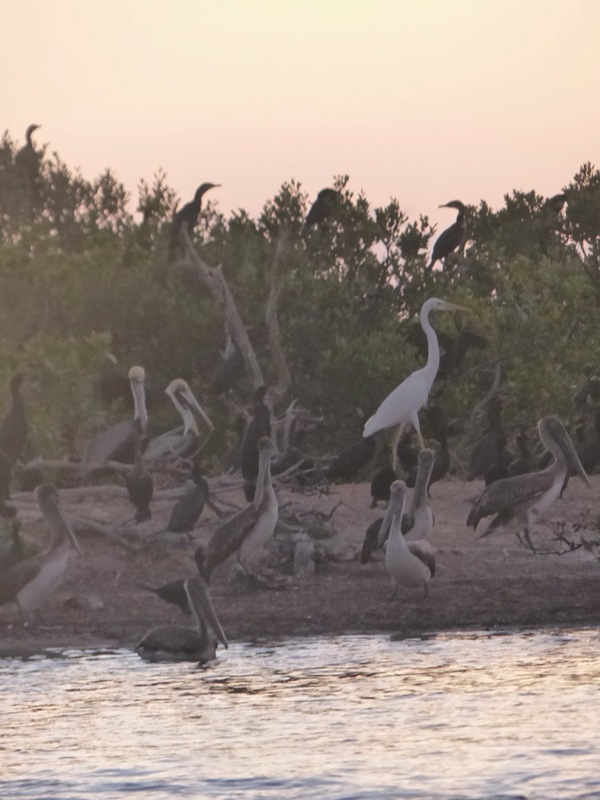 Although I was in the Keys, for some reason they were experiencing cooler temps than normal… the locals were sort of freaking out, having to wear long pants which rarely saw action. A couple of cold fronts blew through forcing me to remain in the marina instead of a quiet anchorage... it was more than I prefer to spend on lodging but i enjoyed every bit of my stay there. 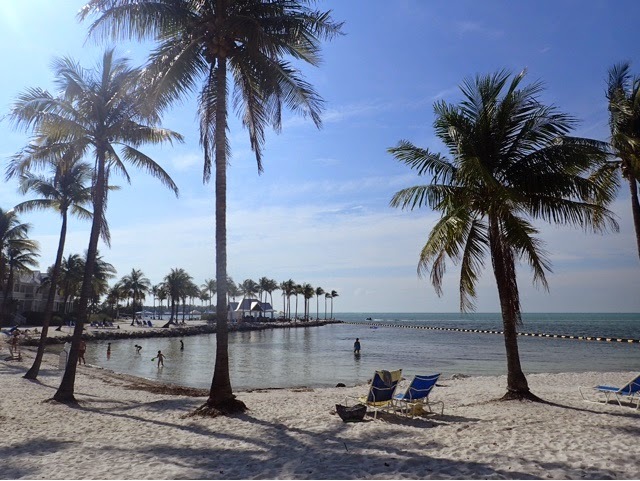 Most everything is within walking distance in Islamorada, and the public bus system to Marathon and Key West is pretty good too. One day, In my period of tooth pain, I took the bus for the 28 mile trip to Marathon Key where I would seek out a dentist. 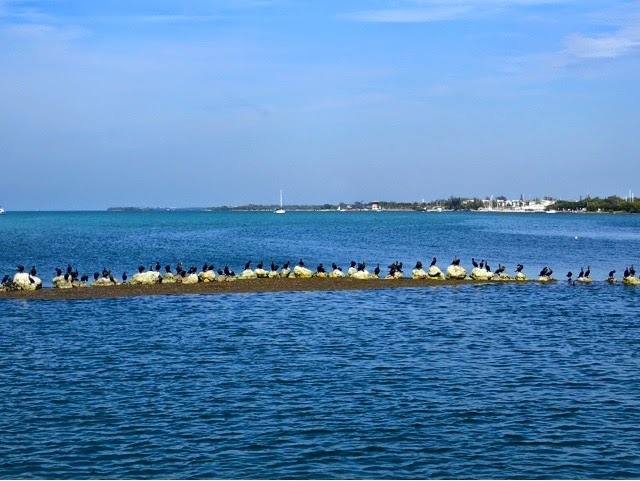 I was also going there to place my name of the waiting list for a mooring ball at the infamous Marathon Boot Key Mooring Field as seen below. This is a view of Boot Key on Key Marathon. 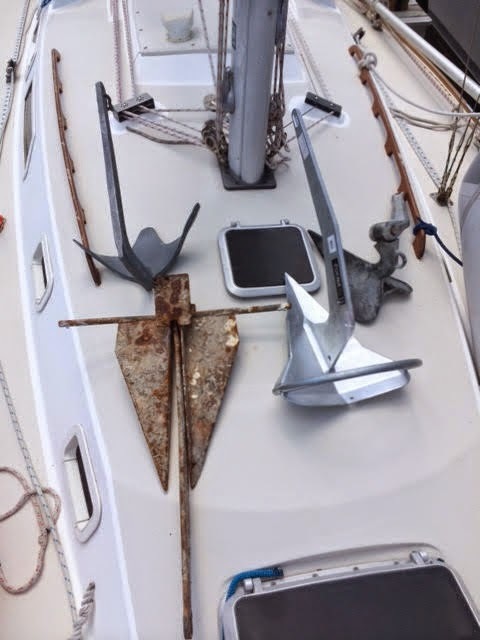 Thanks to my friend Zach for sharing this pic while hoisted on top the mast of their new sailboat, Champagne. 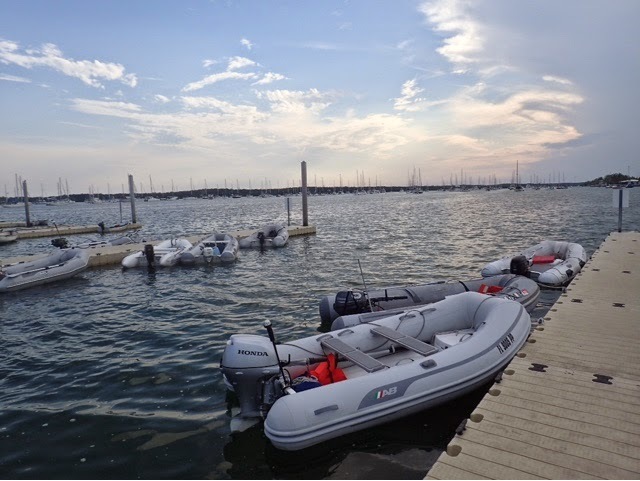 Talk about a dinghy dock….This dinghy dock at Marathon is like a parking lot… there's second one too just as big as this one… with over 250 sailboats in the mooring field, the dinghy dock is a great gathering place. 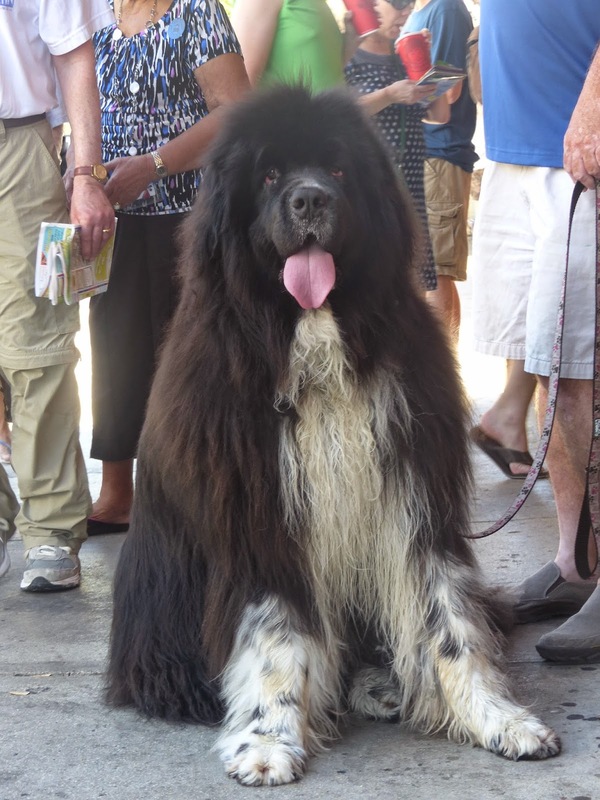 Talk about gathering…. On this Monday afternoon, I stumbled upon this informal meeting of sailors gathered for a little town meeting discussion of the topic of "Sailing the Bahamas." I was tickled that I was quite familiar with most of the topics they were discussing due to my previous cruising trip to the Bahamas last year… still I just lurked and enjoyed the moment. The Marina at Boot Key Harbor also has this cool community room where folks share wifi, books, and stories from their travels aboard a sailboat… nice facilities here. I plan to return in April for a while. 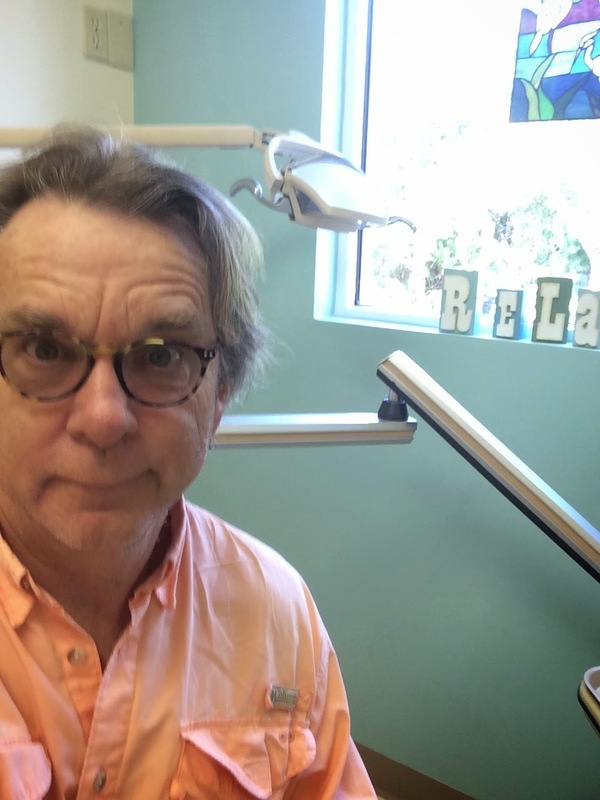 I finally made my way to the Marathon Dental Center only to discover that they were closed for President's Day… the pain continues…. grrrrrrrrr. But on a happy note, I met this young fellow, Mike, making music just outside of the dentist office… we instantly struck up a conversation and swapped the guitar back and forth for an hour or so playing various tunes and having a few welcomed laughs… There seem to be a lot of folks like Mike in the Keys… Folks who seem to have "dropped out" of the rigamarole of what others might consider a normal lifestyle aka the rat race. 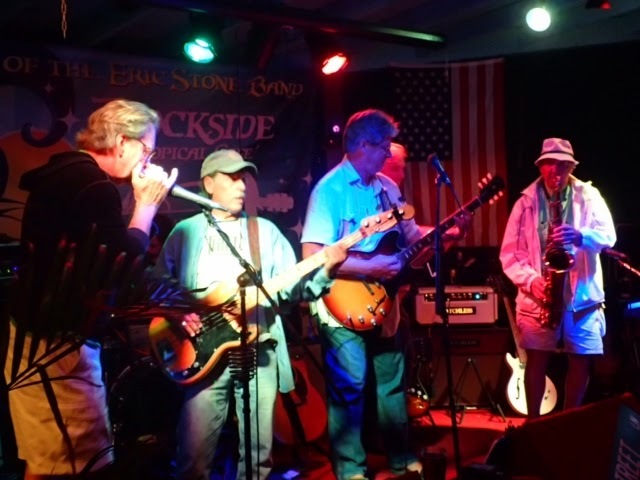 The Keys will do that to you, I had been warned by others…. Looking like deer in headlights is how I feel about going to the dentist… I found a local dentist to consult with… he took an x-ray but couldn't work me into his schedule… On with Plan B which would involve a trip back to GA.
Before I could return to Georgia, Glory Days would need to be tucked in to bed here at Coral Bay marina… lines secured, freezer emptied, Dazy resting on the deck, and all ports tightly secured…. Rest easy girl… I'll see you in 30 days. I splurged and rented a car for my trip to the Key West airport. It was a lovely drive that morning but I only had a short time to drive through town for a quick look before catching my flight home. It had been over 20 years since I was here last, but the old town charm was still there. I plan to return here in April and stay in their mooring field as I check it out. I guess this is conch-mobile on a street in Key West. In no time at all, I was soaring above the clouds for a brief visit home in Georgia …. so long fishes, islands, and a host of unknowns to follow. YIPPEE!!! 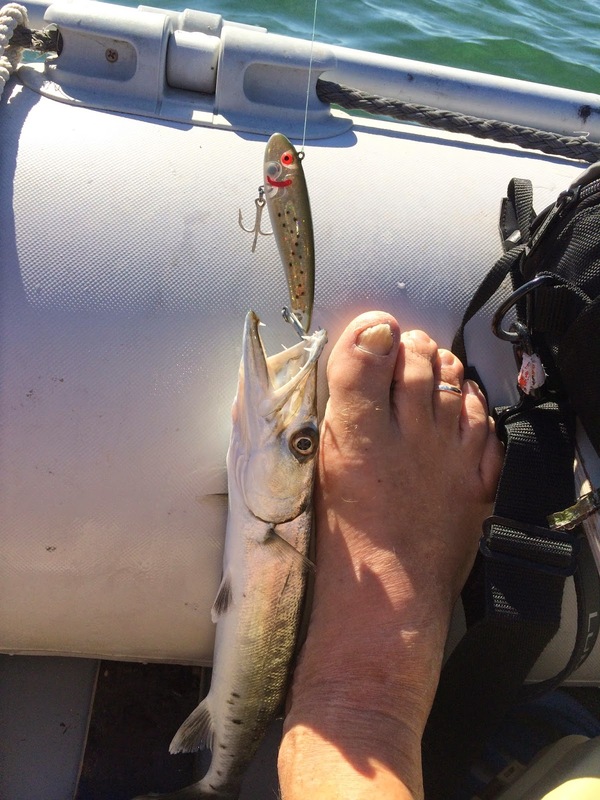 It won't be long before I'll be clicking my heels again aboard Glory Days…. 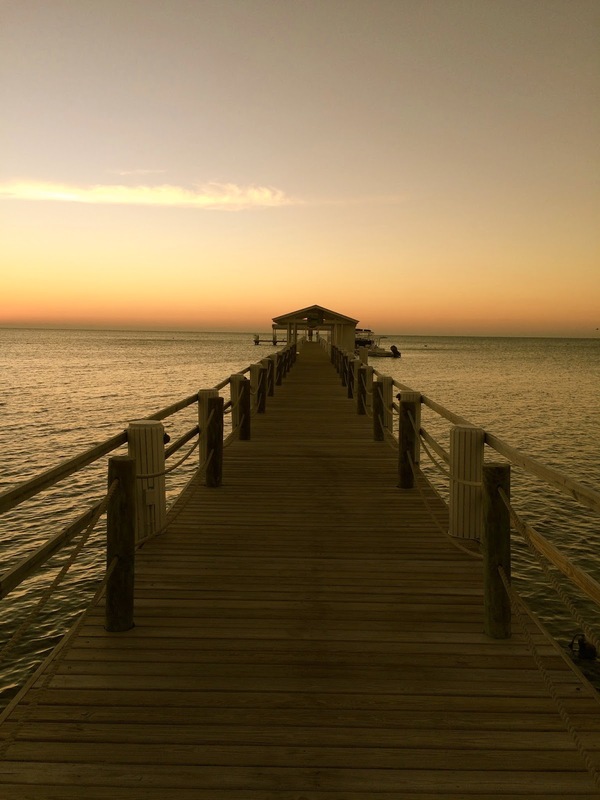 back to the Keys on March 16 where I will spend a few more weeks gunk holing around the area, seeking out hidden mysteries, and creating opportunities of serving others along the way…. and all the comforts of home.